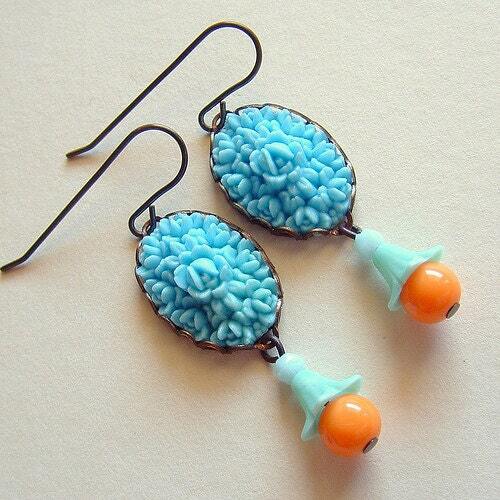 Handmade blue rose earrings with vintage carved plastic light blue floral cameos. 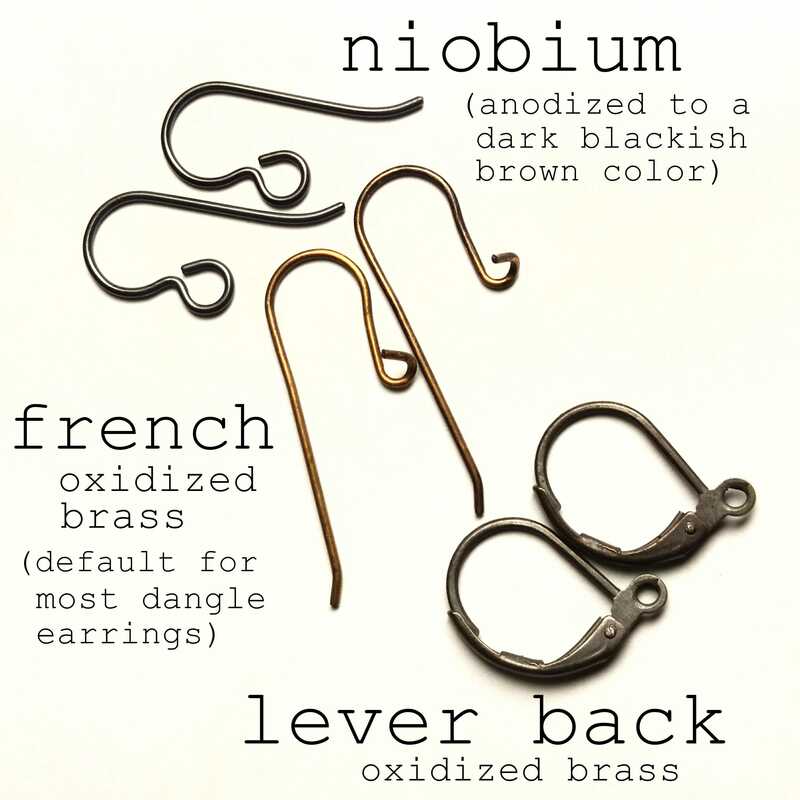 oxidized brass french hook ear wires. 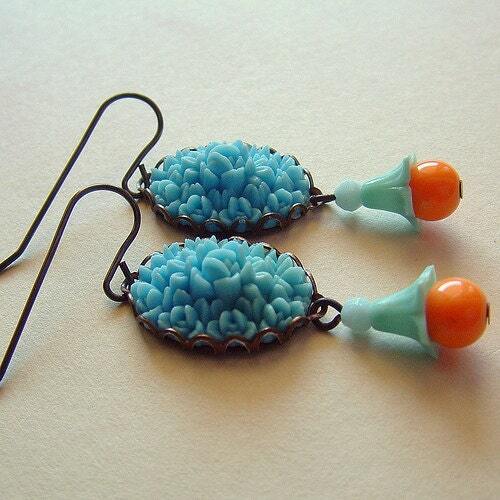 Retro earrings made with gorgeous delicately carved 1950s plastic cabochons jam-packed with teeny tiny detailed rose buds. 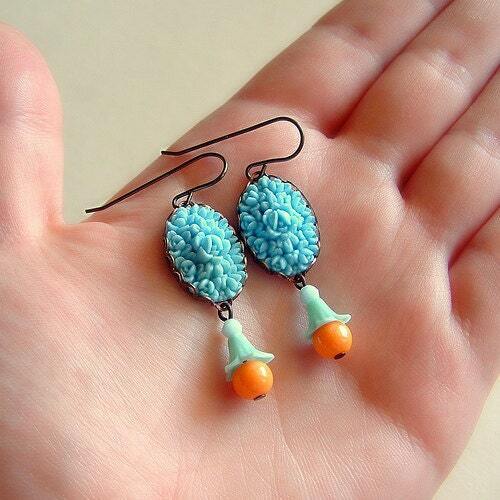 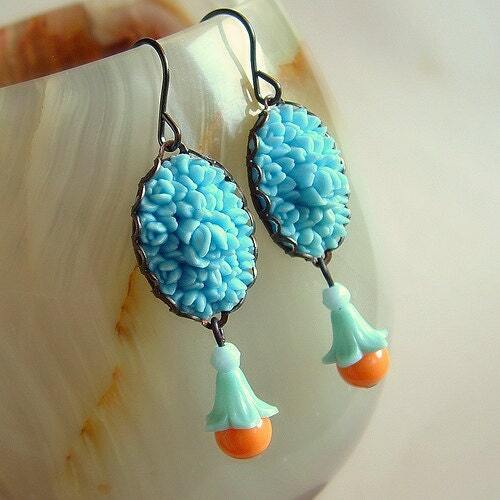 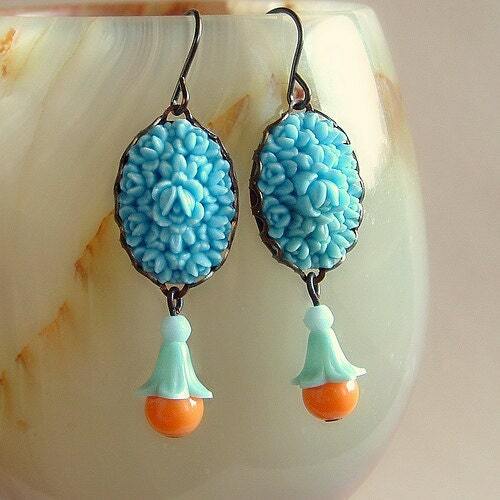 I set them in lacy dark copper frames adorned with orange and aqua beaded trumpet flower dangles.